This section of this website is for all those involved in Youth Ministry including Parish Priests, Youth group leaders and Confirmation Catechists. You will find resources, links to useful websites, opportunities for training and the Youth Congress, and details of CYMFed; the Catholic Youth Ministry Federation. 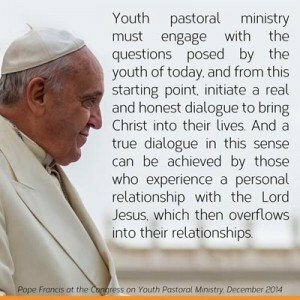 Pope Francis spoke about the importance of Youth Ministry in the Catholic Church to the participants in the 4th European Congress on youth pastoral ministry. The Holy Father highlighted its importance and the need for young people to be engaged with and listened to. 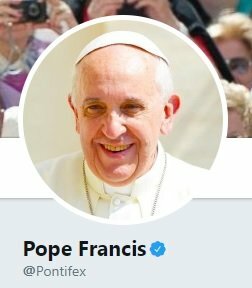 The full text can be found by clicking on the image of Pope Francis.